Established in 1993, Lydd Kart Circuit is the fastest for outdoor Go Karting in Kent and one of the fastest in the Country. The 1040 meter track is very popular with drivers, whether they be ‘Owner Drivers’ racing their own kart(s) or ‘Arrive & Drive’ customers using our Hire Karts. The current layout has existed since an extension was added in 1996, while our Junior Circuit measures approx 500m and is ideal for kids sessions, family sessions or children’s birthday parties. 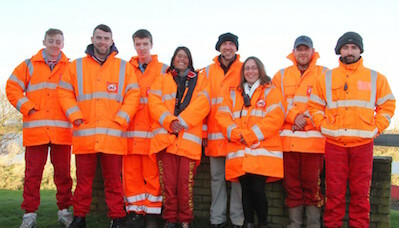 The owner, James Clarke, took control of the Circuit in February 2011 and is investing in his vision of the future of Lydd as a Karting venue. James was a very successful racer here at Lydd, while his son, Cameron, races Senior Rotax 125 with team Clarkekarts. Clarke Karts Racing Team is now also in full swing, with Cameron & other race team members running owner drivers in various kart classes. 2017 James invested in an awning to further support the Clarke Karts Racing Team when visiting other circuits (our colours yellow & red, so can’t be missed!) . James is very passionate about Lydd and Karting, so the circuit is in safe hands, and the improvements to the whole venue will continue to be ‘work in progress’. A new storage building for the hire kart fleet has been completed, creating a much better base to work from, while the next phase of James’ original plan to resurface the track has now been done. In 2016/2017 many customers who have known the track of old have re-visited, feedback for the new track surface continues to be been very positive. Winter 2017/2018 the ‘New Build’ Clubhouse/Cafe/Offices is underway, the footings are in place – to be an ongoing build in 2018. 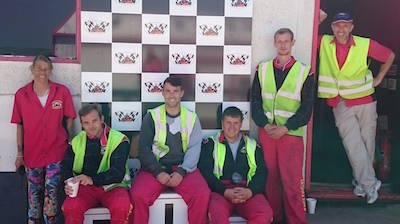 We host ‘Owner Driver Monthly Club Race Meetings’ on the 2nd Sunday of each month, providing owner drivers with the chance to go racing once a month in a friendly family atmosphere. From April 2019, the Lydd International Summer Championship will be run under an event permit issued by Motorsport UK (MSA). For more information – please click on the Owner/Driver page. 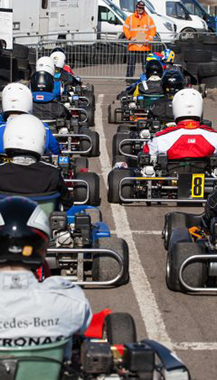 Our Hire Kart fleet ranges from Bambino (available for kids of 6 years and over, provided they are at least 1 meter tall), through single-engine Cadet and Junior chassis to twin-engine ProKarts for the Adults (over 16 years). We welcome bookings from individuals or groups and, although we have a list of basic events on the Arrive & Drive page, we may be able to tailor an event to suit your requirements. We advise pre-booking at all times, especially the busier weekends & school holidays. We can offer Arrive & Drive on many days throughout the year. Please check the Calendar for dates of other events that are booked, like our Club Race Days, Private Circuit Hire and the dates on which other championships & outside clubs have booked to visit & host their events at the Circuit. 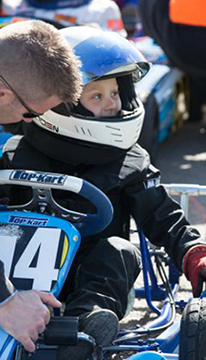 We can offer one-to-one tuition, kart preparation and kart storage. The circuit has a kart shop – Clarkekarts – selling new and second-hand karts plus some spares, oils, race wear, tyres and so on. We also have a Cafeteria which sells hot & cold food (hot food only on club race weekends & friday open practice). The café and clubhouse remains open all year round for hot & cold drinks & confectionery snacks. 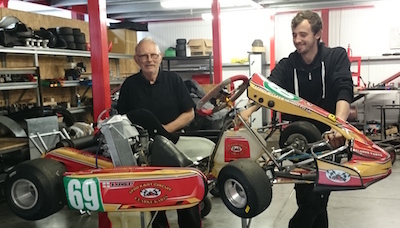 After racing at Lydd for many years in Prokart and then TKM 4-Stroke, James purchased Lydd in 2011. He is continuously working to invest in the circuit and push the venue forward. 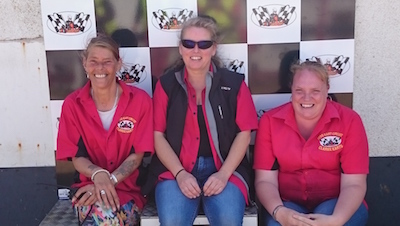 The staff at Lydd Kart Circuit, which include office, kitchen, workshop and circuit marshalls all enjoy working at the track and as a team! Everyone is in touch via radio, to ensure we keep you safe while you are in your karts and on circuit, either as an owner driver or a visiting corporate/arrive & drive hire kart customer. We hope you enjoy your time with us and keep coming back for more events.